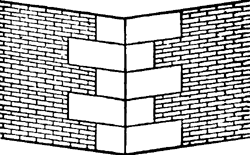 One of a series of stones or bricks used to mark or visually reinforce the exterior corners of a building; often through a contrast of size, shape, color or material, which may be imitated in non-load-bearing materials. A stone quoin, projecting out from the main surface of the wall with rough, split faces and chamfered edges, to give the appearance of rugged strength. One of the members forming an outside corner or exterior angle of a building, and differentiated from the wall by color, texture, size, or projection. An expandable device used to secure type and printing plates in a chase. Michael Darling, 29, of Du Quoin, was cited with driving an uninsured motor vehicle, at 1:14 a. Platinum Sponsors: Bigham, Tanner & Foster, Childers Orthodontics; CRPHC -- the Du Quoin Community Health Center; Du Quoin Auto Service; Du Quoin State Bank; Fenton's Custom & Collision; General Cable, Du Quoin; Knight Hawk Coal LLC; Linzee Insurance Agency Inc.
Burial will be in the Sunset Memorial Park at Du Quoin. Chance Gilliam, Du Quoin, was ticketed with operating an uninsured motor vehicle. I hope you will welcome and have the same confidence in Jill as I do to move Du Quoin forward," Alongi added, inviting the community to attend the meeting in person or watch it on cable channel 16.
to the time of the service on Monday at the Searby Funeral Home in Du Quoin. Zachary Wilderman, Du Quoin, was ticketed with not having proper lighting. Julie Stowers, 35, of Du Quoin, cited for driving an uninsured motor vehicle. The main video is titled "Welcome to Du Quoin" and includes sites familiar to any city resident such as VanMetre Field at Du Quoin High School, Main Street, Marshall Browning Hospital and an aerial view of U.
Katlyn Sanders, Du Quoin, was ticketed with operating an uninsured motor vehicle, failure to reduce speed, improper traffic lane usage, and illegal transportation of alcohol by a driver. But sloppy play by Steeleville led to turnovers and a 10-point run by Du Quoin that saw the Indians take a 66-55 advantage with 2:02 to play. We had back-to-back games against kids who were the two leading scorers in the tournament and they proved that (Saturday)," said Du Quoin coach Tyler Krone.